Pressure is mounting on the FAI following further revelations about its finances. A Sunday Times report claims the former chief executive John Delaney spent almost 40,000 euro on his work credit card in the last six months of 2016. It follows reports he has told colleagues he is planning to step down from his current role as Executive Vice President. 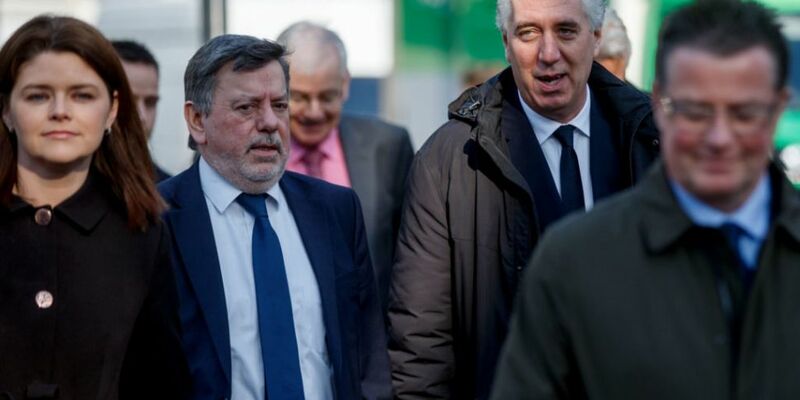 FAI officials met at Abbottstown in west Dublin yesterday evening to discuss recent protests at League of Ireland matches across the country, in the wake of Mr Delaney's appearance before the Oireachtas Sports Committee last Wednesday. The Irish Independent's Daniel McDonnell was at Abbotstown yesterday evening and spoke to 98FM's Now That's What I Call Sport this morning. "I think really it's just a countdown to a statement, and when it comes," he said. "That depends on whatever formalities need to be completed to do that statement. I compare it to a manager's time -- it's not that unfamiliar, nobody neccessarily knows the time or the date that it's coming, but you'd assume across today there'll be clarity."